Maxwell during the 1982 NBA Regular Season. Cedric Bryan Maxwell (born November 21, 1955) is an American retired professional basketball player now in radio broadcasting. Nicknamed "Cornbread", he played 11 seasons in the National Basketball Association (NBA), and played a key role in two championships with the Boston Celtics. 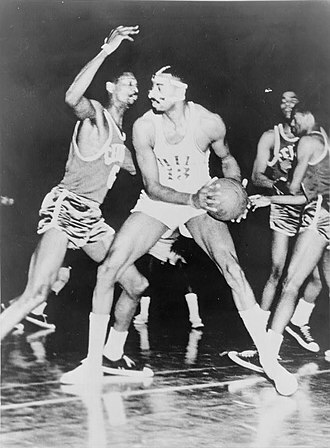 Maxwell was a star forward/center for the UNC Charlotte 49ers. Among the 49ers, Maxwell ranks 6th all-time in points scored and his #33 jersey was retired in 1977, when he led UNC Charlotte to the NCAA Final Four. 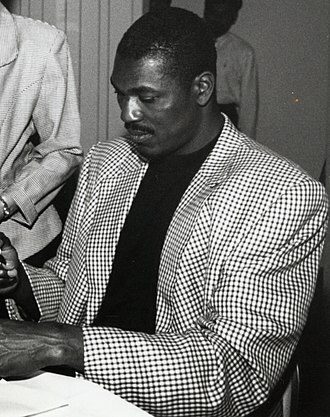 Upon completion of his career at Charlotte, Maxwell was the 12th overall pick in the 1977 NBA draft. 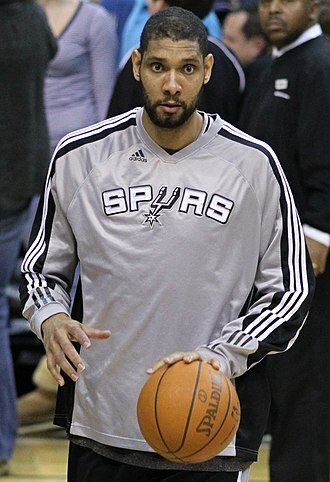 He was drafted by the Boston Celtics, where he played for eight of his eleven seasons. Maxwell made an impact in his second season with the Celtics. While Boston was mired in an otherwise awful 1978-79 season, as they awaited Larry Bird's decision to sign with the franchise, the second-year power forward averaged 19.0 points and 9.9 rebounds per game. The Celtics would go just 29-53 on the year, but the young Maxwell's potential, along with the promising addition of Bird and others, set the stage for what would become an NBA dynasty. Maxwell was best known for his moves near or beneath the basket. He was very effective in the low post, faking defenders into the air, drawing contact, then making high percentage shots (and sometimes drawing a foul) using either his jump-hook close to the basket or going up against the glass. It was rare that Maxwell took an outside jump shot, especially when Celtic teammates like Bird or Tiny Archibald were on the floor. This helped the Celtics run a balanced offense with a formidable inside game that was hard for most teams to defend. Maxwell, in addition to being a dangerous scorer and a colorful character, was a clutch performer in the playoffs. Maxwell was named MVP of the 1981 NBA Finals. Three years later, Maxwell scored 24 points against the Los Angeles Lakers in the decisive game-seven victory during the 1984 NBA Finals. Before the game, he told his teammates to "climb on my back, boys." 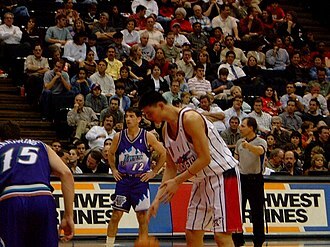 Maxwell's colorful side was also on display in the series as he mocked second-year Laker forward James Worthy's inability to make free throws during overtime of game 4 by walking across the lane between free throws with his hands around his own neck, suggesting Worthy's choking under pressure. Maxwell also made fun of Kurt Rambis prior to Game 4 of the 1984 Finals, wearing Rambis's trademark glasses and inadvertently missing a long range shot in front of loyal Rambis fans known as the "Rambis Youth". The following season, after an injury, Maxwell lost his starting role to Kevin McHale, who had spent two seasons coming off the bench and was in the process of winning his 2nd consecutive Sixth Man of the Year. Maxwell was traded, with a draft pick, on September 6, 1985, to the Los Angeles Clippers for center Bill Walton. Maxwell spent a season and a half with the Clippers before being dealt to the Houston Rockets in January, 1987, for two draft picks. He finally retired from the NBA after the 1987-88 season, having scored 10,465 points and pulled down 5,261 rebounds over the course of 11 seasons, which averages over the course of his career to 12.5 points and 6.3 rebounds a game. Maxwell was the 22nd former Celtic to have his jersey (number 31) retired by the Celtics (December 15, 2003). He is now a radio broadcaster for WBZ-FM in Boston, where he announces Boston Celtics games with Sean Grande and lives in Weston, Massachusetts. He was also a frequent co-host on WEEI's sports talk radio shows, such as The Big Show with former Celtics TV announcer Glenn Ordway, before Ordway parted with the station. He made guest appearances with the successor program Salk & Holley. In June 2013, Grande and Maxwell began co-hosting a new show, Celtics Summer Cooler, a weekly offseason update on the Celtics. Maxwell came under fire for comments he made on the air during a game in 2007. 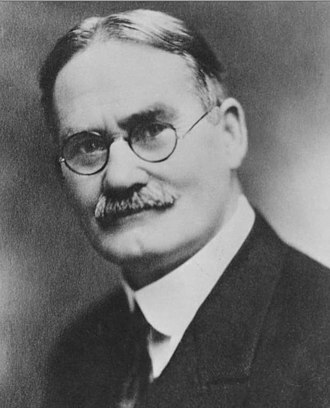 Unhappy with the officiating of referee Violet Palmer, he told listeners that Palmer should "go back to the kitchen" and "make me some bacon and eggs". Maxwell apologized during a subsequent broadcast. On the March 16th 2010 "Primetime with The Packman" radio show (WFNZ-AM) originating out of Charlotte, Cedric Maxwell stated he was open to the coaching position at Charlotte. He went on to say he was hoping the school would at least offer him an interview. Maxwell received the nickname "Cornbread" from his college teammate Melvin Watkins after the pair went to see the movie Cornbread, Earl and Me, in which a 12-year-old boy is traumatized by the murder of his friend, a star basketball player. Watkins thought that Maxwell looked like the title character (played by Jamaal Wilkes) and so began calling him Cornbread. Since Maxwell did not like the nickname, it did not gain widespread use until Maxwell was named MVP of the NIT tournament in 1976, when, according to Watkins, "The New York media picked up on [the nickname]." ^ "Celtics broadcaster apologizes on-air". Boston.com. 2007-02-28. Weston is a town in Middlesex County, United States in the Boston metro area. The population of Weston, as of the 2010 U. S. Census, was 11,261. Weston is among the 10 most affluent towns with 1,000 or more households in the United States and is the third-most affluent town with a population of at least 10,000 in the United States. Weston is among the nations 100 most expensive ZIP codes, with a median price of well over $2 million. It is the town in the Boston Area to have private roads. Despite a population of just 11,261, Westons area is slightly smaller than that of its neighbor town, Newton. As a result, Westons houses are on much larger than those present in nearby towns. It has one of the lowest crime rates among Metro-west Boston suburbs, Weston was a dry town from 1838 until 2008. Incorporated in 1713, the town is located on an upland plateau. The town of Weston was originally established as the West Precinct of Watertown in 1698, the town was separately incorporated as the town of Weston in 1713. Weston is located on an upland plateau. Early settlers discovered that the amount of agricultural land was limited as was the waterpower potential in the town. By the 18th century, residents were profiting by the traffic on the Boston Post Road, taverns of great historic importance were established on the Road. The Golden Ball Tavern, built in 1750, and the Josiah Smith Tavern, built in 1757, commercial stagnation followed the loss of business after the opening of the Worcester Turnpike in 1810 drew commercial traffic from the Boston Post Road. Townspeople turned to boot and shoe making, and the manufacturing of cotton, by 1870, substantial country estates were being built in Weston by Bostonians, establishing a prosperous residential character for the town. Farming continued to be a significant support for the economy. The Weston Aqueduct and Reservoir were built in 1903 and the Hultman Aqueduct followed in 1938 to bring Quabbin Reservoir water into Boston, in exchange, Boston residents continued to build homes in Weston, many of them architect designed. 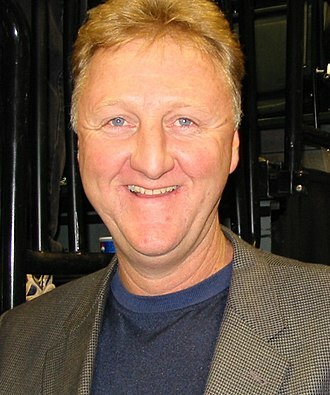 Larry Joe Bird is an American professional basketball executive, former coach and former player, currently serving as president of the Indiana Pacers in the National Basketball Association. 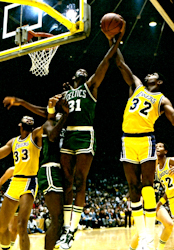 Since retiring as a player for the Boston Celtics, he has been a mainstay in the Indiana Pacers organization, Bird was a 12-time NBA All-Star and was named the leagues Most Valuable Player three consecutive times. He played his professional career for Boston, winning three NBA championships and two NBA Finals MVP awards. He was a member of the 1992 United States mens Olympic basketball team won the gold medal at the 1992 Summer Olympics. Bird was voted to the NBAs 50th Anniversary All-Time Team in 1996 and he served as head coach of the Indiana Pacers from 1997 to 2000. In 2003, he assumed the role of president of operations for the Pacers. After a year away from the position, he announced he would return to the Pacers as president of operations in 2013. In addition to being part of the 50–40–90 club, he is the person in NBA history to be named Most Valuable Player, Coach of the Year. Bird was born in West Baden Springs, Indiana to Georgia and Claude Joseph Joe Bird and he was raised in nearby French Lick, where his mother worked two jobs to support Larry and his five siblings. Bird has said that being poor as a child still motivates him to this day and Joe divorced when Larry was in high school, and Joe committed suicide about a year later. 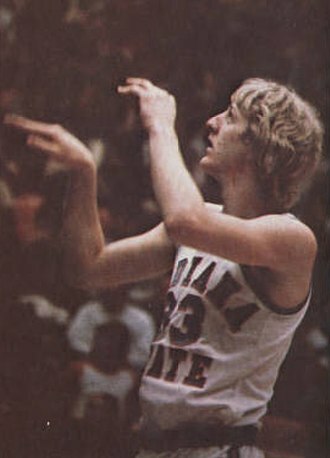 Bird received a scholarship to college basketball for the Indiana University Hoosiers in 1974. After less than a month on campus he dropped out of school and he returned to French Lick, enrolling at Northwood Institute in nearby West Baden, and working municipal jobs for a year before enrolling at Indiana State University in Terre Haute in 1975. 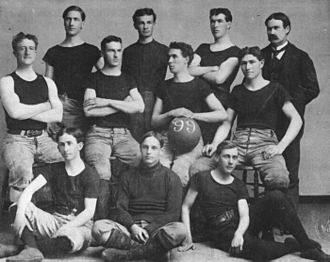 Indiana State would lose the game 75–64, with Bird scoring 19 points, despite failing to win the championship, Bird earned numerous year-end awards and honors for his outstanding play, including the Naismith College Player of the Year Award. For his college career, he averaged 30.3 points,13.3 rebounds, Bird appeared in one game for the baseball team, going 1-for-2 with 2 RBI. The Charlotte 49ers represent the NCAA Division I sports teams of the University of North Carolina at Charlotte. A founding member of Conference USA, Charlotte rejoined the conference in 2013 after spending eight years as a member of the Atlantic 10 Conference, Charlotte was a charter member of the Sun Belt Conference and was a member of the Metro Conference. A member of Conference USA, Charlotte currently sponsors teams in nine mens and eight womens NCAA sanctioned sports, notes The athletics department officially changed its name to simply Charlotte in 2000. The schools identity suffered from years of constant confusion before then, frankly, we are tired of being confused with other institutions or having our own identity misused and misconstrued. Its harder to make a name for yourself, when your name keeps getting confused, not only will this logo simplify matters, but it gives the program an exciting new look that better captures our essence. 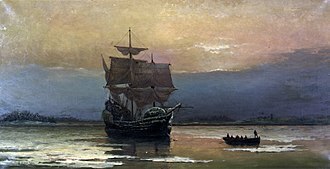 The official school name remains the University of North Carolina at Charlotte, the fact that the site of the U. S.
s first major gold discovery, Reeds Gold Mine, is located nearby may be a contributing factor to the nickname. That the Universitys Main Campus front entrance is located on North Carolina Highway 49 is pure coincidence, prior to the 49ers moniker, the athletic teams were known as the Owls due to CCUNCs beginnings as a night school. Charlotte 49ers Fight Song Hail, Char-lotte 49ers, proud as we can be, Well stand to fight for the green and white Til we win the vic-to-ry, GO NINERS. We pledge our trust in you And wave your colors high, the primary athletics logo contains a miners hand and pick-axe as a reference to the Gold Rush. The arm of the Miner forms a C representing Charlotte and this logo is frequently used to replace the C in Charlotte when referenced to the university or the athletics programs. Three secondary logos are present, The C as a logo, a 4-9-e-r-s word mark. In addition, each sport has a logo, consisting of the C with the specific icon contained inside. The new logos replaced the face of a grizzly old Miner, Charlotte has had its fair share of intense rivalries. Studios are located in Brighton, Massachusetts. The station currently broadcasts programming from ESPN Radio, until October 4,2012, the station aired a highly rated locally produced talk format. WEEI traces its roots to its owner, Edison Electric Illuminating Company of Boston. Edison placed the station on the air September 29,1924, the station broadcast on various frequencies over the next several years, settling on 590 kHz in 1927. In 1926, WEEI became a member of the NBC Red Network and remained an NBC Red affiliate until 1936. CBS bought WEEI outright from Boston Edison on August 31,1942, an FM sister station, WEEI-FM, went on the air in 1948. In the 1960s, the daily WEEIdea feature presented cleaning and cooking tips from housewives, by May 1972, WEEI had six full days of call-in talk programming. On weekdays, morning drive time from 6 am to 10 am was hosted by newsman Len Lawrence, Kimball was hired from WIOD in Miami, where she had replaced broadcaster Larry King after he was arrested on December 20,1971. Ellen is believed to be one of the first women to host a daily, four-hour, call-in talk show, originally called Boston Forum with Ellen Kimball, the name was eventually changed to The Ellen Kimball Show. Later, newsman Ben Farnsworth took over the Saturday call-in segment from 10 am to 2 pm. 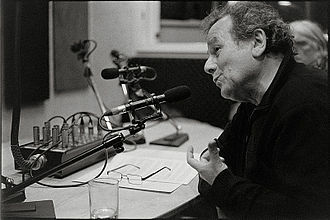 Paul Benzaquin handled 2 pm to 6 pm weekdays, although its talk radio format was popular, the station went all-news in 1974, following the lead of several other CBS-owned stations. But by the end of the 1970s, WEEI was all-news around the clock, a fire developed in the building following the crash. Although Metromedia canceled the sale of KRLD after it was granted permission to own both the station and KNBN-TV in Dallas–Fort Worth, the sale of WEEI still went forward. Helen Broadcasting continued the all-news format, the station was acquired by Boston Celtics Communications on May 10,1990, the Celtics simultaneously purchased WFXT from Fox Television Stations. WEEI carried Sports Byline USA and CBS Radio Sports broadcasts not cleared by WRKO, the all-news format continued in other dayparts until September 3,1991, when WEEI became an all-sports station. Halton Arena, the 49ers home venue since 1996. Kevin McHale (middle) won the award twice and was inducted into the Naismith Memorial Basketball Hall of Fame. 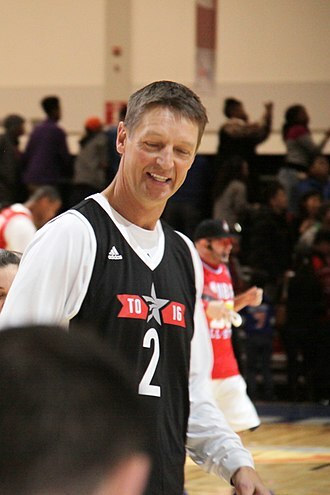 Detlef Schrempf was the first non-American to receive the award and won it twice. Manu Ginóbili won the award in the 2007–08 NBA season. Jamal Crawford has won the award a record three times. Harmony Hall, the oldest building in Kinston, was owned by North Carolina's first governor, Richard Caswell. Lenoir Community College's library and student center. Hayes Stadium has been the home of the 49ers' baseball team since 1984. A major renovation finished in 2008. Jerry Richardson Stadium opened in 2013 with the 49ers' Inaugural Season. Derek Fisher, the 1996 Sun Belt Player of the Year, has won five NBA Finals with the Los Angeles Lakers.